→Does Washing Kill Dust Mites? The trick to getting rid of dust mites in the items you wash is to wash them in hot water. Not just hot, but 140 degrees Fahrenheit (60 degrees Celsius) hot. At this temperature, 100 percent of dust mites are killed, according to WebMD. If you turn down the water temperature to just 104 degrees Fahrenheit, just 9.6 percent of dust mites are eliminated, according to a 2008 study. Only 6.5 percent were killed at 86 degrees Fahrenheit. If you can’t wash the fabrics at temperatures that hot, you could also wash the items between 86 and 104 degrees Fahrenheit (30 and 40 degrees Celsius) and then rinse each load of laundry with cold water for at least three minutes on each of the rinse cycles. This doesn’t get rid of all of the dust mites, but it is definitely a better option than washing just on cold. Steam cleaning can also get rid of dust mites as effectively as washing in 140-degree water. One 2003 study found that if clothing and bedding were washed in cold or warm water along with detergent and detergent plus bleach, a significant proportion of dust mites were removed. Specifically, 60 to 83 percent of live mites were removed when clothing and bedding were washed in water alone, with detergent, or with detergent plus bleach. 84 percent of mites were removed from fabrics that were put in the washer just with water or with detergent, and 98 percent of them were removed from fabrics that were washed with water, detergent, and bleach together. If the fabrics were washed more than once, the level of dust mites continued to fall. Another important finding of the study was that fabric that did not have mites became infested with them when they were washed with material already infested. 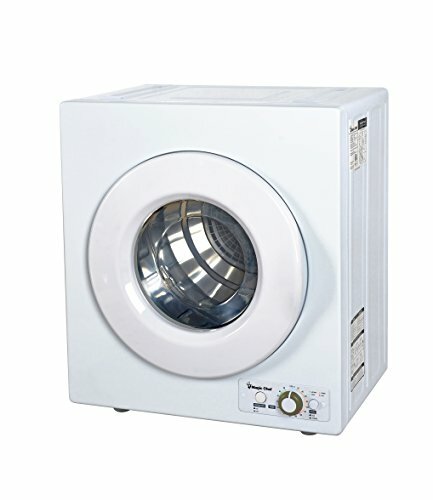 If you have access to a dryer, you can further rid your fabric items of dust mites by putting them in the dryer for at least ten minutes at a time at 130 degrees Fahrenheit (54 degrees Celsius). Washing in hot water and then putting items in the dryer afterward can virtually eliminate all live dust mites from fabric, and this can help your symptoms calm down significantly. 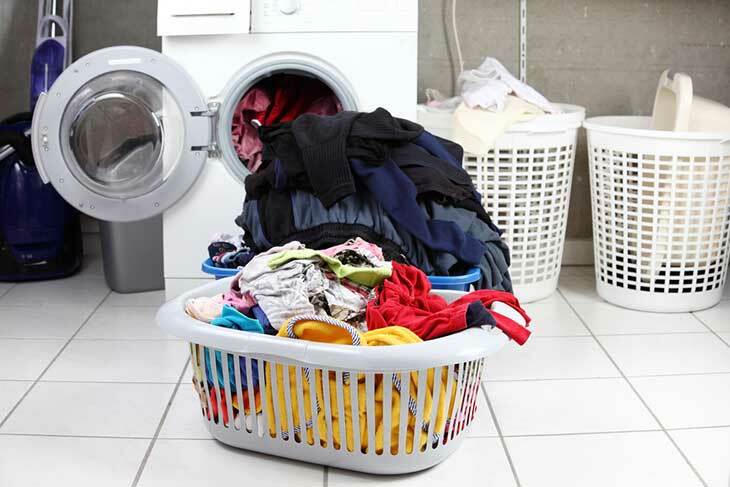 A 1993 study found that using benzyl benzoate in a 0.8 percent solution killed all dust mites in loads of laundry. Most were killed with a 0.5 percent solution. The study also tested a number of essential oils that were added to loads of laundry. Tea tree oil killed 79 percent of mites in 10 minutes, and all of the oils tested killed over 80 percent of the mites after exposure to the oil for 30 minutes or more. They killed 60 percent when the mites were exposed to them after 10 minutes. Just citronella oil and tea tree oil were as effective as 0.5 percent benzyl benzoate at killing mites with an exposure time of 30 minutes. A 1997 study found that over 80 percent of mites were destroyed after they were immersed in 0.2 percent and 0.4 percent solutions of eucalyptus oil for 30 and 60 minutes. If you do a pre-wash soak of your bedding, clothes, etc. with essential oils, you can get rid of the majority of the mites. Another important factor in keeping the number of dust mites down in your home is to make sure to wash your bedding every week. This prevents dust mites from having too long to reproduce. If you make it a regular part of your household chores, you are less likely to forget to change the sheets and to have a problem with your allergies or those of your family members. Even though you can cover your mattress and pillows with allergen coverings, you still have to wash your blankets, quilts, mattress pads, sheets, etc. regularly. Your sweaters, jackets, and other items you may not wash on an incredibly regular basis can also be homes for dust mites. Stuffed animals, upholstered furniture (steam cleaner), curtains, and any other fabric item in your home should be laundered or cleaned regularly with heat to cut down on the number of dust mites. Dust mites can cause asthma and allergy problems in millions around the world. While you cannot completely eliminate dust mites from your environment, washing the items made of fabric around you is one very effective way to take control of how the dust mites affect your symptoms and quality of life.